Dr. Selinsky is the vice president of Research Operations at the Parker Institute for Cancer Immunotherapy. She has over 20 years of experience in translational research and development with a diverse background in industry, academia and the nonprofit sectors. She began her career investigating the role of immune system inhibitors in the development and persistence of cancer, and co-founded a biotechnology company to promote the commercialization of novel immunotherapeutics targeted at the selective removal of these inhibitors from the blood circulation of cancer patients. 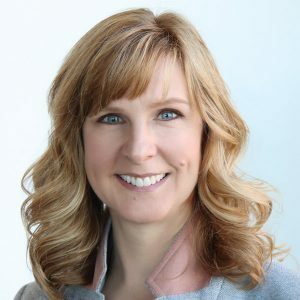 Prior to joining the Parker Institute, Dr. Selinsky was the Chief Operating Officer of the Biodesign Institute at Arizona State University where she oversaw all aspects of research and business operations across the institute’s 14 independent research centers. Previous experience includes a 7-year tenure at the Translational Genomics Research Institute, where she served in many roles including senior director for Translational Research Development and program and alliance management for the Stand Up to Cancer/Melanoma Research Alliance Melanoma Dream Team and the Multiple Myeloma Research Foundation CoMMpass study. She directed the Biospecimen Core Repository for The Cancer Genome Atlas project, managing the laboratory responsible for the processing, quality control and quality assurance of all cancer cases submitted to the project during its 3-year pilot phase. Dr. Selinsky earned her doctoral degree in microbiology and immunology from Colorado State University.